" Aidan received his first guitar at age nine and quickly became enthralled... "
Aidan received his first guitar at age nine and quickly became enthralled by the sounds of Classic Rock. His initial musical influences included bands like Led Zeppelin and the Rolling Stones but he soon dug deeper and discovered a style of music he felt more connected to: the Blues. 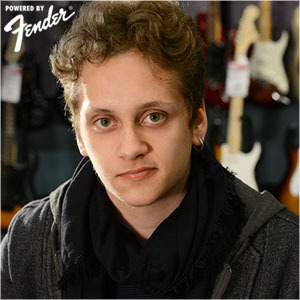 Influenced by guitar players including BB King, Joe Bonamassa, and Eric Clapton, Aidan was able to learn parts and riffs by ear early on. In subsequent years, Aidan has progressed and become a more advanced guitarist. His hunger to learn and experiment have fueled his drive to do what he loves doing, exploring all modern, musical genres. As his musical interests have broadened, his playing styles have also grown to include not only Rock and Blues, but also Jazz, Fusion, Indie, Country, Soul/R&B, Funk, Metal, and Finger Style guitar. Although he is only sixteen, Aidan is already an extremely well rounded and experienced musician who has been performing since the age of ten when he first enrolled at his local School of Rock. ARer three short years, at age thirteen, Aidan was selected through a highly competitive audition process, to be part of an elite, interna=onal group of young musicians known as the School of Rock AllStars. As an AllStar, Aidan has toured the Southern region of the United States several =mes, and performed in many venues such as the House of Blues and the legendary BB King’s Blues Club. Aidan con=nues to perform na=onally with the AllStars and also enjoys gigging with many local, adult musicians in the Washington, DC area. Aidan con=nues to study Jazz guitar and music theory, which he is able to apply in any musical context and he enjoys songwriting and arranging. 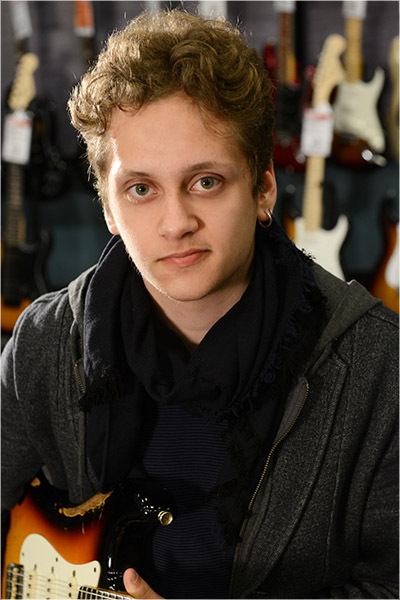 Although guitar is Aidan’s main instrument of focus, he also plays bass, drums, keyboards. He enjoys working in his basement studio, especially with Pro Tools to foster his interest in sound engineering. In addi=on to performing, Aidan would like to be a studio musician. Look for his music online soon.